demonstrating the great adaptability that our dogs possess. MAX performing for the camera. Max has commenced his training as an Attack On Command dog. 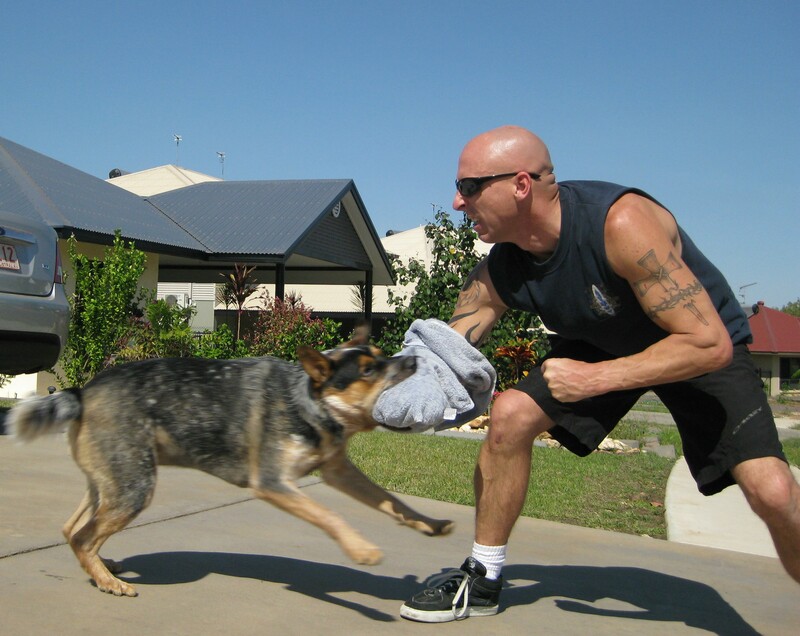 Max's trainer is an experienced Police Officer. 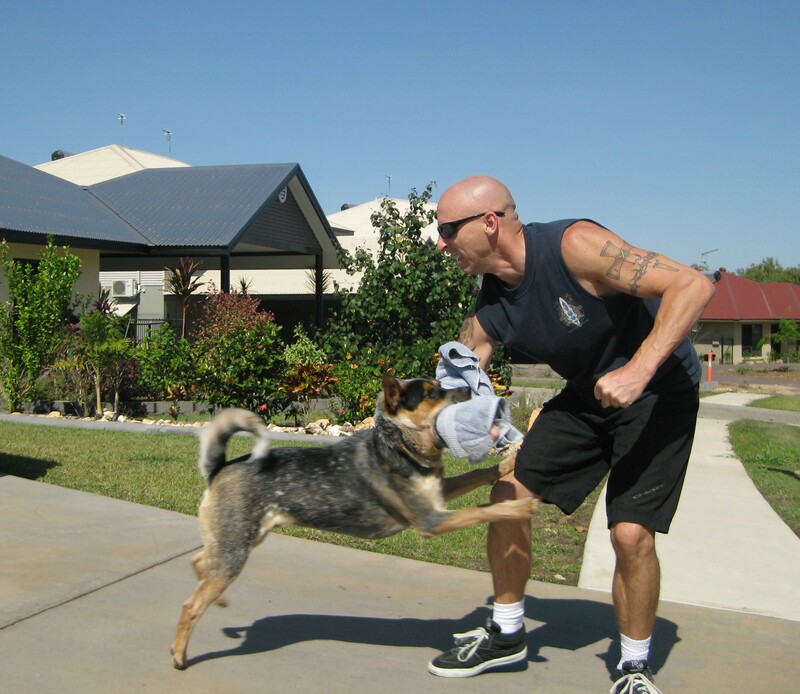 Integral to Max's training is the ability to distinguish between a 'friendly' and 'unfriendly' stranger and to act accordingly to protect family and property. 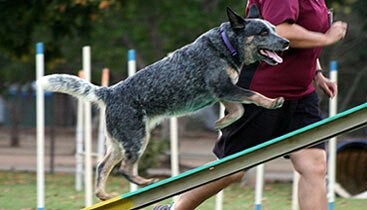 This is one of the original purposes that the Australian Cattle Dog as a breed was developed for. During his time off Max is a much loved family pet. CHLOE the Stumpy Having lots of fun with her toys. with their tunnels, walks and spirit ball.